Idealo is a UK based price comparison website and in the run-up to Christmas they've carried out some research about the amount parents spend on their children's presents. They found that since 1995 the amount increased from £75 to £164 in 2010, that's an increase of a whopping 64% (including inflation). I'm sure a lot of the increase is caused by higher prices and the trend is to buy more expensive gifts these days such as electronic goods, but even so that's a huge hike in costs. And what with all this recession malarkey and times being tough £164 is a big chunk of most people's total Christmas present budget. Marshmallow Skye by Cathy Cassidy. 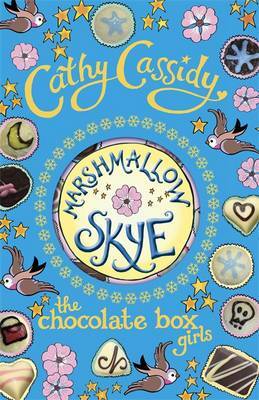 My daughter has read all of Cathy Cassidy's book and this is the latest one so it was an obvious choice. This Cath Kidston manicure set is cute and practical at the same time. 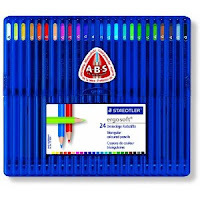 I love the design, and I'm very impressed by the quality. As my daughter is a huge fan of anything Cath Kidston I'm sure she'll love this. 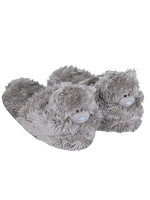 These might seem like a bit of a cliched Christmas present, but as my daughter has specifically asked for these Me to You slippers who am I to argue! Just lately she has been doing a lot of drawings and mentioned a few weeks ago that she'd like some good quality coloured pencils, so these Staedtler ergosoft pencils seem ideal and I thought a sketch pad might also encourage her artistic leanings. And finally, I loved this lovely silver chain heart bracelet. I think the design of this bracelet is pretty timeless and as she's a very girly girl it's just the sort of thing she wears. I'm very pleased with my haul and think I managed to get some real bargains and spent just under the £75. I do a lot of my shopping online, it's quick and easy and if you know what you're looking for it's ideal - and there are no queues! Disclosure: For review purposes I was given a budget of £75 to buy these gifts online. The day I realised I was allergic to Virgos. Are you a Miss, Mrs or Ms?